Choosing the right care bed is crucial for the elderly who are physically weak and for the caregivers. If an improper care bed is picked, this will not only largely increase the burden on the caregiver, but also the user is unable to receive the best protection and support. 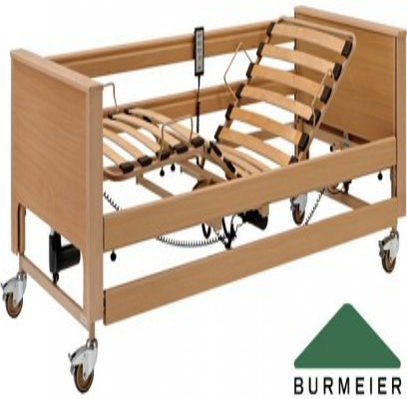 Electric beds can be divided into single-motor, two-motor and three-motor beds that can raise or lower the head, middle and foot sections of the bed respectively. In recent years, there are also four-motor beds, allowing adjustment of the entire lying surface. Generally speaking, two-motor design can raise the head and the foot to the best angle to reduce pressure on the hips, thus preventing the development of bedsores. It can also save time to raise the bedplates, so that the caregivers can more easily grasp how to operate the care beds and support or hold the elderly. For the elderly who are long-term bedridden and with complete loss of mobility, three-motor design can raise and lower both the head and middle sections, so as to help the elderly to reposition the body from time to time, improving their blood circulation. Care bed design shall enable the elderly to raise or lower the height of bedplates and adjust them to an angle conveniently by themselves. It will be better if a remote control is provided. The advantage of adjusting to different angles is to provide the elderly user and caregiver the flexibility to change the posture, reduce the formation of bedsore, and also make it easy to be in a sitting position for eating and other activities such as reading or watching TV. Height adjustable bedplates help caregivers to be more accessible to the elderly user and to ensure the safe transfer of the elderly. When lowering the bedplate, it should be low enough to allow the elderly user to have his or her feet on the floor so as to reduce the risk of falling. As care beds are operated by electronic devices, the safety standard requirements are relatively higher. It is necessary to ensure that the specifications comply with the required standards before buying an electric bed. Attention should also be given to the potential risk of hand accidents. Some bedplates are specially designed with back plate that will automatically move backward when lifting up and form a gap to relieve pressure on the back of the user. This is one of the methods for effectively reducing the possibility of developing bedsores. 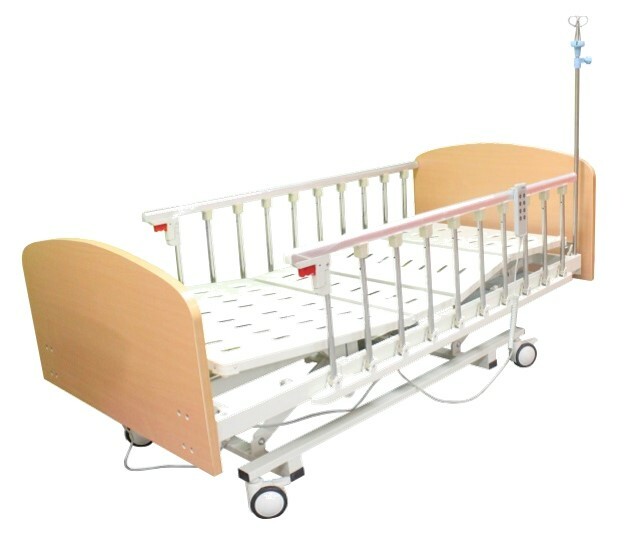 An ideal care bed shall have unique rails that can be opened and closed by pressing a button, so as to facilitate the user to get into and out of the bed safely. In respect of installation, the common problem is insufficient space in the passageway and inside the bedroom. It is important to first check with the salesperson whether the dimensions of the care bed can fit into the room. 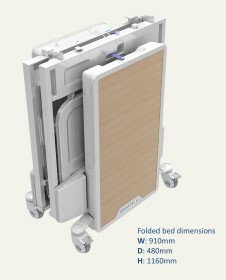 The care bed can be delivered by parts for assembling inside the room after making the purchase. 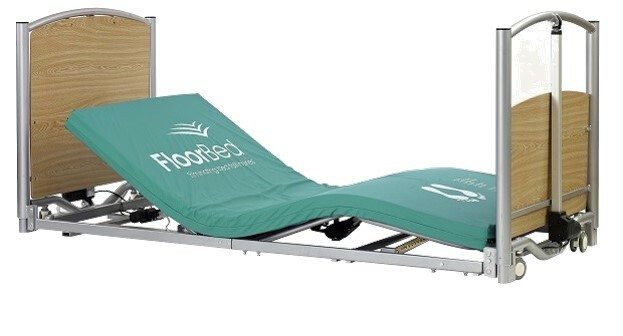 Alternatively, if space is limited, a foldable bed can be purchased to make it easier for transportation and to make way for more space if needed. Whether to install wheels for the care bed may depend on the actual needs. Installing wheels will probably make transferring/holding the physically weak elderly easier. However, independent lockable wheels shall be chosen for safety reasons. Prolonged confinement to the bed may bring about excessive pressure to the skin, friction and pull, resulting in poor blood circulation and formation of skin ulcer (bed sores). 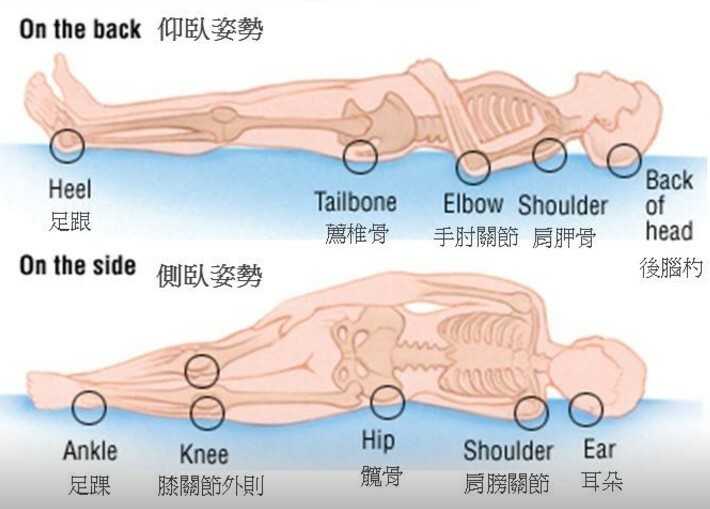 Therefore, long-term bedridden elders should be provided with mattress with the function of pressure diversification so as to prevent bed sores.